Your line rental cost has been praying on your mind. Could you get a better package? Your business telephone line is your conduit to customers. Giving them the best possible telephone support is essential. At the same time, for the business’ sake, you’re eager to reduce the expense. You might need a provider that’s focused on helping you save money. One that understands the challenges of growing a business so they can match you with the most suitable line rental package. Let us help you complete this mission. Stay on the line and learn about the different types of packages out there and the associated costs. So you have all the information needed to make the right switch for your business. Gone are the days where our line rental choice was limited to half a dozen providers. Which is awesome: we now have so many more options and opportunities to save money. But with an abundance of deals comes stress. How much is line rental? Which package is right for my office? Do all providers have hidden costs? We make this easy by breaking down some of the best landline only deals on the market, starting with 24 Seven. 24 Seven has one of the most affordable line rental packages on the market from just £15 a month. Landline calls start at 1p per minute and mobile calls at 7p per minute. Also customers aren’t tied into lengthy contracts. 24 Seven offers zero contracts giving you incredible flexibility while helping you reduce your line rental cost. When you switch your line to 24 Seven, there are no installation fees, set-up, call out or equipment charges. The switch is completed virtually with no need for engineer visits. (Read our recent blog for greater insight on switching your line rental). Not sure if or how you can cut costs? Send your most recent telephone bill to 24 Seven and we will suggest where costs can be slashed. 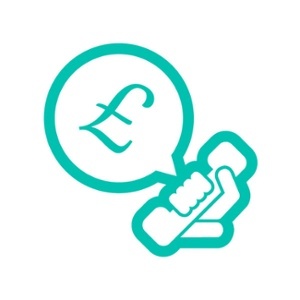 With your unique business needs in mind, we can also advise which telephony features you might want to budget for in the future. You will need to purchase a business phone number with 24 Seven to access these add-ons. Again, we can help you decide if this is the right move for your business. When customer calls equal business, the last thing you want during a switch is downtime. 24 Seven’s is dedicated to ensuring minimal disruption throughout the process. That means keeping your existing number (if you want to) so you don’t have to broadcast new digits to customers and wait for them get up to speed. Grown weary of being passed from pillar to post by different customer representatives? As 24 Seven is a small business compared to telecom giants like BT, customers gain one dedicated account handler for all their line rental needs. They will know who you are as soon as you offer your name. Our ability to provide a highly-personalised service helps us solve problems much faster so you can be fully operational again in no time. Welcome message – A smart way to get customers to trust you: record a professional welcome message or have 24 Seven create one for you. Personalised voicemail greeting – Record your own voicemail greeting to make your customer service line more personalised. Call statistics – 24 Seven customers can access the 24 Seven Live portal at any time for free. As soon as a call handler answers the phone, they can see live caller data when inside the portal: the time of the call, the number calling from and the duration of the call. As an office manager, you can use 24 Seven Live to monitor all incoming and outgoing calls. You can also filter calls by destination to gain a better understanding of where most of your calls are coming from. These insights can help marketing and sales people make informed decisions about campaigns, producing greater revenue for the business which can be used to shoulder the cost of telephone line rental. Voicemail to email – Voicemails can be sent as attachments via emails. You’ll know exactly when a caller leaves a voicemail and can motion your team to action it ASAP. Other business number extras are available for £10 per month. Such as call whisper (information about who is calling before you answer), multiple diverts and time of day routing. Go all out with the premium package at £15 per month. You’ll gain all the extras discussed plus nine keypad options – ideal if you’re taking lots of calls and have call handlers covering different business areas. How much is line rental with BT? The company has hiked up its prices from 1st October. This change will occur for all companies who use BT-owned lines (TalkTalk, Plusnet and Sky) as the wholesale line rental cost increases. As the BBC investigated, this expense is passed to customers. Note: At 24 Seven, we currently absorb such price increases so our customers aren’t affected by rising costs. BT’s landline only deals start at £18.50 per month* with its value package. The minimum contract period is two years for this deal. Costs go up or down depending on the line rental contract. For example, if you choose a standard line, you’ll pay £25.90 per month for a one year, or £24.60 per month for two years. The Standard Package includes Call Essentials which is a free call plan that gives you 60 free UK landline and mobile minutes per month. For unlimited calls, an additional £12 per month is required. It also costs £10 per month for 2500 international landline minutes. *These are the prices as of 1st October 2018 following BT’s fee increases. How much is line rental with BT can increase significantly depending on the level of service you require. Sticking with the standard deal, technical problems aren’t resolved right away. BT promises it will aim to fix your line within 2 working days. 24-hour repairs are an extra £4.70 per month. Or you can benefit from 6-hour fault resolutions for £6.30 per month. It’s worth mentioning that 24 Seven customers don’t have to pay extra for rapid repairs and experience uptime 99% of the time. *All prices stated are correct as on 18th September 2018. BT Answer 1571 – a free call answering service with the option to create personalised greetings. BT 1471 – 1471 service telling you the last number that called unless it’s withheld or from a switchboard extension. We would be here all day if we took apart every other offer on the market. To save you precious time, here’s a quick run-through of other business landline only deals. International calls from £5 per month for 500 minutes to 36 countries. Often, the cost of telephone line rental can push your buttons with hidden charges, poor customer support and pricey set-up fees. But after reading this blog, you know exactly how much is landline rental. You can identify what you need from your package to make the right switch for your business. When in doubt, always consider the quality of customer service on offer, the extra features you can access after purchasing a telephone number, the potential engineer call-out fees and overall costs. Do this and you’re well on your way to a more robust, efficient and affordable business line rental that’ll enable your company’s growth. Fancy picking our brains further over line rental costs and packages? Call a 24 Seven expert today on 08000 247 247. Are You Getting The Service You Need? 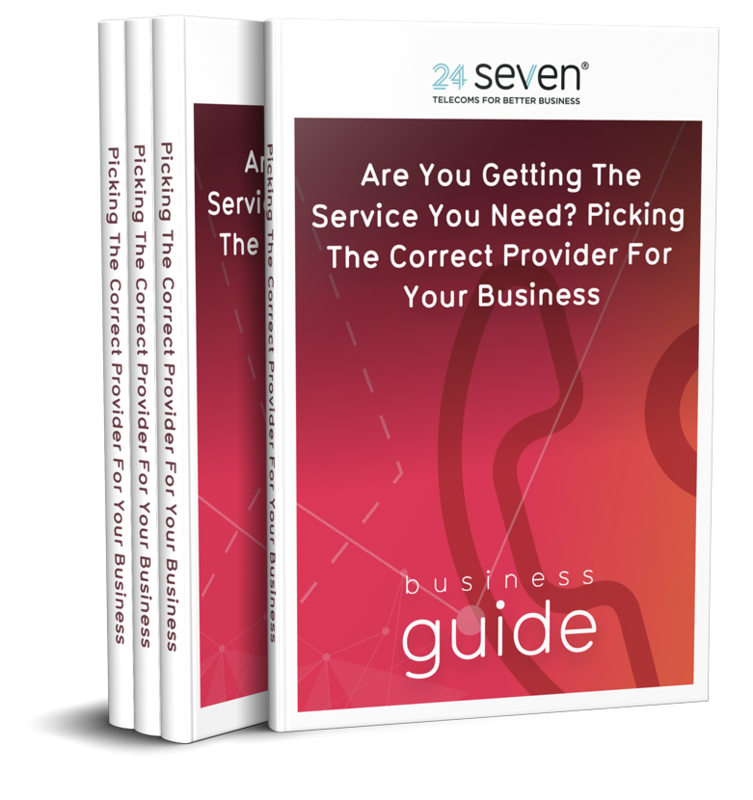 Download our free guide on how to pick the right telecommunications for your business!